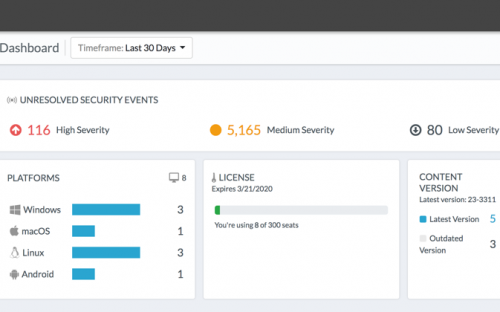 In March, we announced Traps 5.0 and the Traps management service, a cloud-based service designed to simplify administration and management of your endpoint security. One of the benefits of the Traps management service is the ability to innovate and introduce new features, faster. Today, we are excited to announce the Traps for Android client. In 2017, global mobile subscriptions reached a total of 7.8 billion. By 2023, there will be more than 30 billion connected devices, including 20 billion IoT devices. Cybercriminals have taken note of this massive growth and turned their malicious activity toward mobile and IoT devices and networks, as well as accelerated their development of Android-based malware. Considering 85 percent of new mobile devices sold worldwide are Android-based, and there are more vulnerabilities in the Android ecosystem than ever, it’s no surprise Android has become a favorable target for malicious actors. The new Traps app for Android extends malware detection and prevention to Android endpoints. Traps for Android leverages both local analysis and threat intelligence from WildFire to detect and prevent malware from running. The Traps app enforces security policies to determine whether to block known malware and unknown files, as well as perform local analysis to determine the likelihood an unknown file is malware. 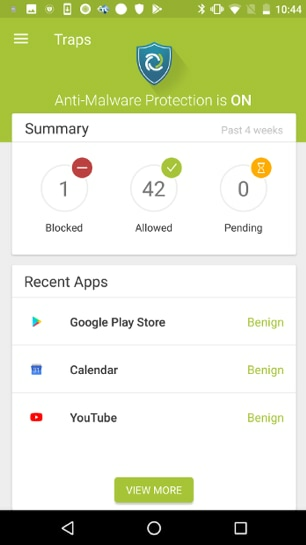 Administrators have additional controls to allow or block unknown apps before Traps receives an official verdict for the app. Traps for Android can also optionally submit the unknown apps to the Traps management service for in-depth analysis by WildFire. From the Traps management service, you can monitor the health of the Traps app and view details about security events that occur on the Android endpoints in your organization. Traps for Android is supported on Android 4.4 and later releases. In 2017, global mobile subscriptions reached a total of 7.8 billion and are expected to reach 10 billion by 2023. 90 percent of new mobile devices sold are Android-based, and as there are more vulnerabilities in the ecosystem, it is the favorite target for malicious actors. Despite protections and controls implemented by Google, malicious Android samples sent to WildFire have increased 101 percent between 2016 and 2017. Palo Alto Networks recently released a report that presents in-depth research findings and dives into the threat landscape specific to mobile devices. Download the “Look What’s Riding Your Network” report to learn more about mobile-based threats. The post Introducing Traps for Android appeared first on Palo Alto Networks Blog. Sit back, relax and enjoy this week’s Channel Scoop. Your Move to the Cloud Secured. Join Palo Alto Networks founder and CTO Nir Zuk, along with leading cloud and security experts from Google® and HashiCorp™, for this informative and entertaining cloud security livestream.